JLC - Jaeger Lecoultre Deep Sea Alarm Europe. One of the most elusive and sensual vintage Jaeger-Lecoultre. 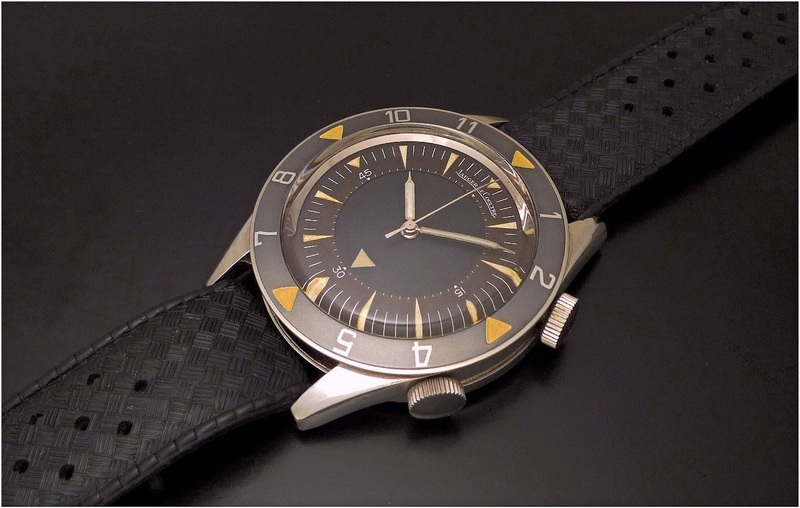 Jaeger Lecoultre Deep Sea Alarm Europe. One of the most elusive and sensual vintage Jaeger-Lecoultre. The proof by the picture. A privilege to own such a watch. Love the subtle colors — unusual. Amazing piece! By having now two JLC refrain from hunting this!!!!! Maybe in the future!!!! Have you considered Truffles ? Way more beautiful than the Tribute. And all my plans go out the window. That's just a jaw dropping piece!